Gerald Weinberg wrote “Weinberg on Writing: the Fieldstone Method” to share many techniques he had perfected in writing more than 40 books and 400 technical articles. The method is very applicable to the exploration of a new market to find problem-solution fit and ultimately product-market fit. This is Weinberg’s first rule of writing and appropriately translated also applies to entrepreneurs: don’t just do it for the money; pick a problem or customer set you care about and seek to solve it or improve their lives. What You Learned In School Doesn’t Work: Instead of writing something, suppose you were building a stone retaining wall. If you’re a country folk like me–creative and resourceful–you go searching for fieldstones. Finding particular stones for a fieldstone retaining wall–or finding particular ideas for an essay—resembles the problem of finding the last number on a bingo card. The first few stones come easily, but as the number needed decreases, so do your chances of finding just the one that fits your needs. Taking an entrepreneurial approach to life means that you are always collecting ideas and insights and trying to sell what you have–your skills, your current product, etc.. In the same way that a writer has to fashion his books and articles out of what he observes–and takes care to record and remember–so an entrepreneurs needs to be capturing observations as raw material for his current or next business. Collecting problems is often more useful than working on solutions, especially problems that people would pay to have you solve. One key aspect of the fieldstone method is that it builds on the observation that to have a good idea requires you to have a lot of ideas that you can then filter and remix and recombine to create something useful. In my experience successful entrepreneurs are not struck by one big idea that they organize their life and business around but they have a lot of ideas that they adapt and refine and improve over time, fitting them into new situations and repurposing them for emerging needs. It’s like collecting a large variety of Lego blocks that you can periodically take out and play with to create novel designs. And just as Kierkegaard observed, “life can only be understood backward but it must be lived forwards,” sometimes we have experiences or see something that feel important and only realize much later how to apply it. If you don’t notice it and don’t remember it or write it down–if you don’t put it in your box of Legos–then you cannot pull it out later to complete your latest creation. 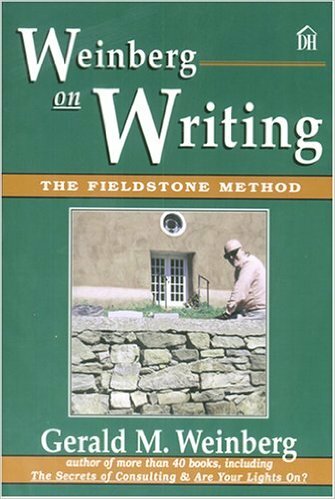 The Fieldstone Method uses ideas as its “stones”—snatches of writing, photos, diagrams, quotations, pictures, and references that you find interesting. Using such a collection of “fieldstones,” you craft your “walls”—articles, reports, books, and scripts. This is a key strength of the approach to be able to use small snatches of time and to use ideas in a variety of forms to work on your current product or business and perhaps one or two new offerings you have percolating. There are risks with this approach–I say this as a blogger with not only 1600 posts published but another 1200 in various stages of draft–that you can start much more than you finish, leaving “men on base” that never pay back the effort invested. I suspect in Weinberg’s he probably has notes for another 40 books yet to be written. On balance, this may be the price you have to pay: to have a rich collection of unused or partially explored ideas so that they ones you actually incorporated into your product or business were the best available at that time. I don’t actually carry my portable computer everywhere, but I always carry my notecards and at least two pens. People laugh at me for looking like a geek with my notecards and pencils in my breast pocket—but I’ve noticed that nobody who’s laughed has ever written a book. 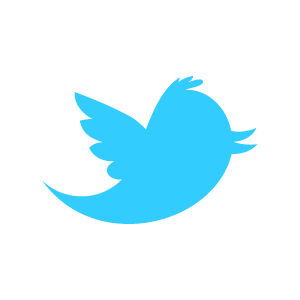 My goal is never to be more than five seconds away from being able to capture a fine phrase or intelligent idea. I keep a pad of paper by my bed so that when I wake at 3 in the morning I can write down what I am worried about. For some reason the act of falling asleep seems to release ideas so that I wake up and write them down and perhaps repeat the cycle a few times. The Fieldstone method doesn’t seem to be so secure and predictable. I remember an anesthesiologist telling me that a certain surgical procedure was like baking a cake: “There are twenty-three steps, and only after the last step does it look like a cake. At every intermediate step, it looks like a mess.” To the untrained eye, Fieldstone writing also looks like a mess at every stage—until the book emerges magically at the end. Alas sometimes things stay a confusing mess or the clarity you do achieve is about the lack of demand for your product or service. Which is clarity of a sort. But there is the “startup dollhouse fantasy” that you can plan everything out in miniature and watch your startup become a real company. I think startup are like most living organisms, they exhibit allometric scaling: each subsystem grows at different rates so that if you look at an infant and their ratio of head to chest or legs to chest and compare that to an adult you will see very different values: the legs and chest grow much more than the head. Weinberg offers a number of techniques for organizing, juxtaposing, and remixing the building blocks of an article or book, here are several that could also be applied to customer interview stories, notes from observing customers, requests for help in on-line forums, blog posts that detail customer needs or problems, etc.. Sort based on energy and keywords: use “10’s” as anchors for piles. 10’s are the ideas or insights that you found most energizing. Drystone walls are made with no mortar, and they have higher status than mortared walls. Mortar doesn’t stand up to time as well as the stones do, and a wall that depends too heavily on mortar will not last without heavy maintenance. Drystone walls last longer, and drystone walls that fit tightly without small rocks and wedges last longest, because small rocks and wedges eventually work their way out. Finding a team members who can fit together and complement each other’s strengths and weaknesses is especially important for bootstrappers: it will be a while before you have a lot of free cash flow to “mortar” your team in place.